I've reached the point of no return - it's time to try mini binders from Target to try and organize my sticker collection. (the ball is still out on how to organize my continually growing washi collection) For this project I did the only thing I could do: Drive to target and spend more $$. 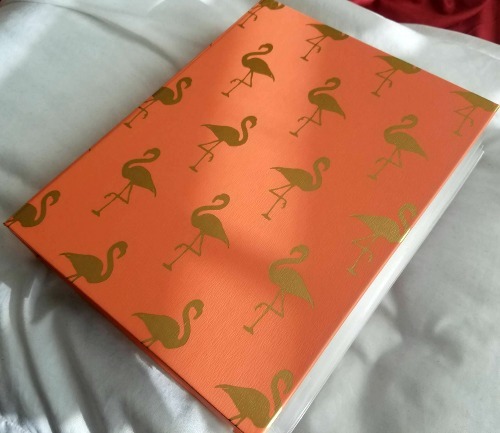 I chose this super cute mini binder from target - it's a gorgeous coral color with these equally adorable gold metallic flamingos on it (& its $3.99). When you open it up you can see I've used the mini binder sheets (target brand) and stuffed the subscription boxes that I receive from Little Miss Paperie on the top. 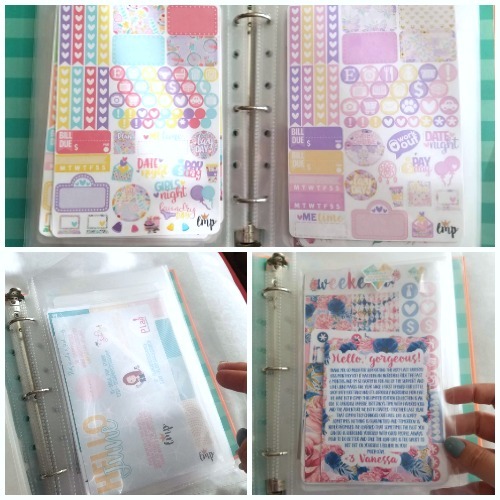 I organize the mini binder sheets with two kits each sheet - each facing opposite directions so that when I flip the page I can see the first page of every kit. In the back I store all my "scrap/used" pages and put some misshaps and 'oops' kits I purchase in there too. So far it's worked great - although it's a tad bit stuffed. I'm gonna have to go on a no-spend in order to slim this binder down! I adore this so much! 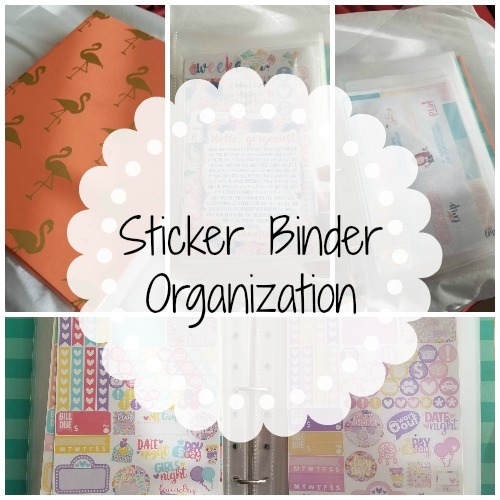 I love, love, love stationary and stickers and binders and EVERYTHING so much! aha! I have a bin/box that I keep all my washi in. Its a hot mess RN - it was a good idea originally!